The number of applicants in 2017 far exceeded our expectations, with more than 350 from dozens of countries competing for one of 12 spots (quadrupling our total from last year). The process of whittling down hundreds of outstanding applications was both difficult and inspiring. It is clear there is an untapped need for greater inclusion worldwide. The 2017 cohort of 6 Degrees Junior Fellows is comprised of eight women and four men, of whom six are Canadian. The other six bring stories and experiences from around the world, including Belgium, Colombia, Greece, India, Ireland, Lebanon, Singapore, Spain, and Sweden. Junior Fellows will participate in all sessions at 6 Degrees Citizen Space, and will remain engaged afterwards as ambassadors for 6 Degrees. As part of the 6 Degrees Junior Fellowship, they will receive a $2000 CAD grant to bring their proposed inclusion project to fruition. 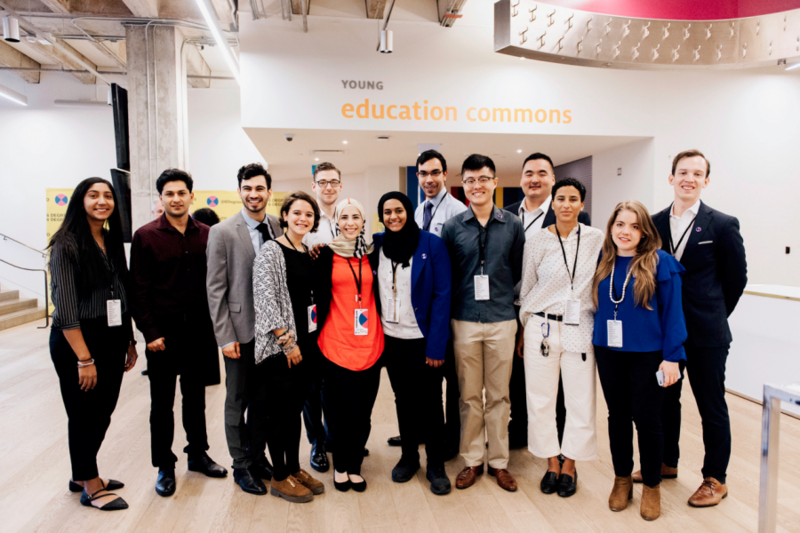 Thank you to RBC, the Janmohamed Nagji Jinah Family, Air Canada, City of Vancouver, Global Centre for Pluralism, LiUNA, and United Way: Toronto and York Region for supporting the 2017 6 Degrees Junior Fellowship.